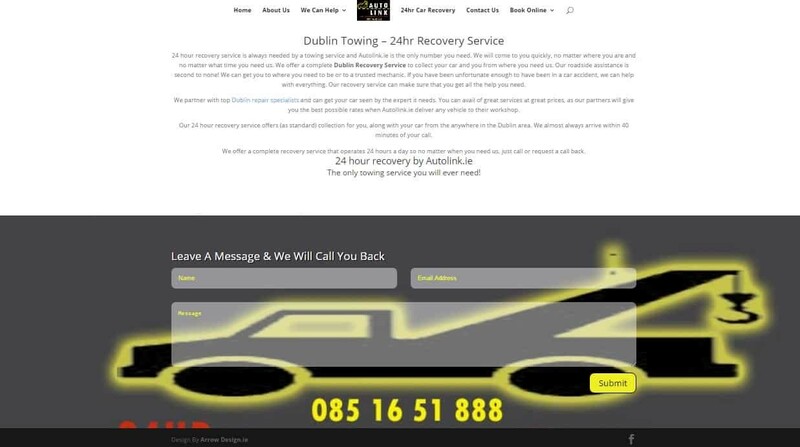 Example of our web design for Dublin Towing Companies. 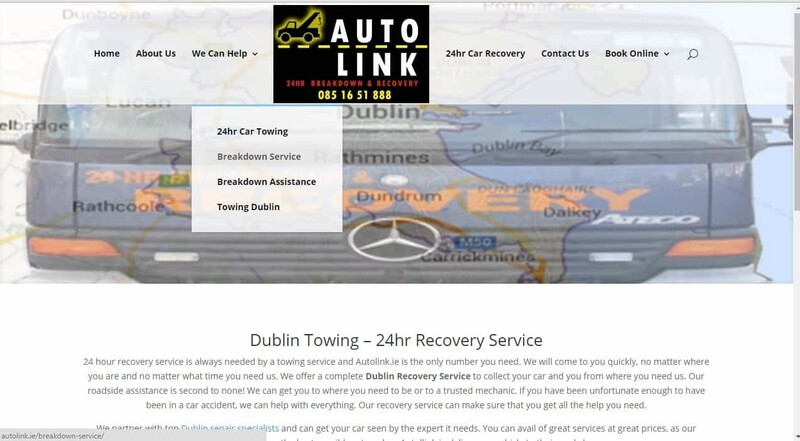 Web design for Towing – ‘Auto Link’ is a recent example of our web design for a towing company in south Dublin.. This website was designed to provide a fast way for people who urgently need roadside var recovery. The website provides a means for people to find AutoLink.ie and provides many ways to contact them quickly. 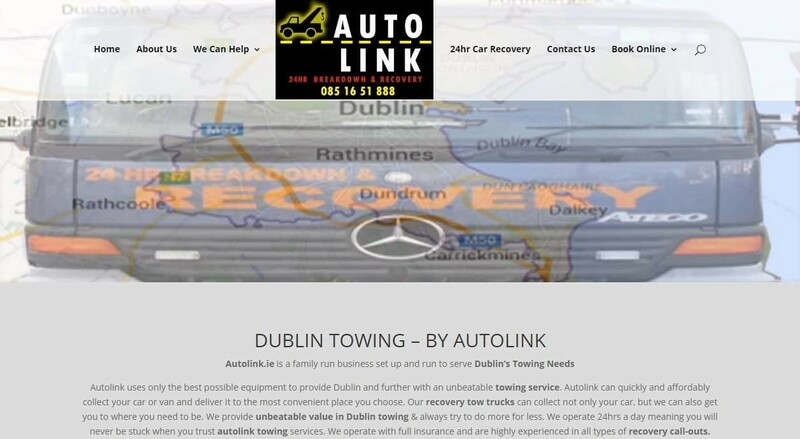 From one touch phone number linking to instant contact email, the website for Autolink makes sure you can always find this Dublin towing company in a hurry. Booking systems can be incorporated into your website to help organise for when you get a high turn over all bookings through your website business. We are happy to show our customers how to use any part of their website so don’t worry if you need a little help to get started! We help with everything to train you to use any new website,as standard. Please don’t hesitate to give us a call if you need help with any web design issue or you just have a question! Your call will be answered straight away on 087 13 77 382 or 01 6918880. If you need a website that will work for your business, or if you have any web design questions, you can contact Arrow Design and we will speak to you 24 hours a day. Phone 01 6918880 or mail if you can wait a few minutes for your answer.